A journalism film series underway in Denver had the usual suspects for showing, and a lot of them are also really good choices. Saturday, January 12th at 1pm at the Sie FilmCenter! 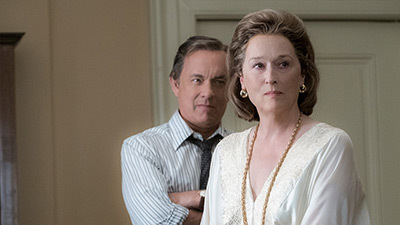 This Academy Award-nominated biopic tells the true story of a cover-up that spanned four U.S. Presidents and the one newpaper to pull away the veil of secrecy. Saturday, February 16th at 1pm at the Sie FilmCenter! In the 1950s no one exploited the fears of Communism more than Senator Joseph McCarthy until CBS reporter Edward R. Murrow took a stand. Saturday, March 16th at 1pm at the Sie FilmCenter! 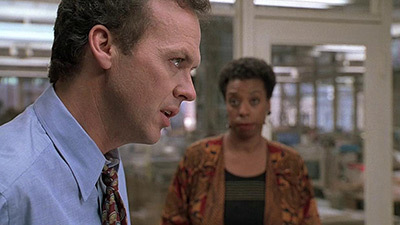 When a hot story lands in his lap, the life of a fictional New York City tabloid editor (Michael Keaton) gets infinitely more complicated. Saturday, May 25th at 1pm at the Sie FilmCenter! When The Boston Globe’s tenacious “Spotlight” team of reporters delves into allegations of abuse in the Catholic Church, their investigation uncovers a decades-long cover-up at the highest levels. Saturday, June 22nd at 1pm at the Sie FilmCenter! 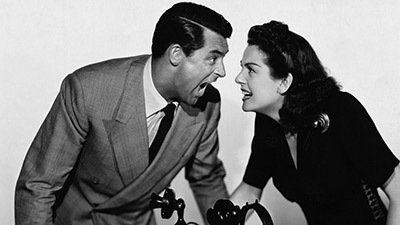 Howard Hawkes casts Cary Grant as a scheming editor who must try to keep his ex-wife and star reporter (Rosalind Russell) from quitting her job and marrying another man, all while a hot story about a man on death row unfolds before them. 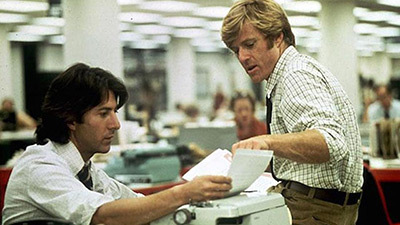 I used to show journalism movie scenes and whole journalism movies to my journalism classes. Over a decade or more I added and subtracted but I developed a pretty good idea of what worked and didn’t work with students. The Post is a good recent one to show. I did appreciate how it didn’t ignore the incredibly cozy relationship between the people who ran the paper and the people in power in Washington. 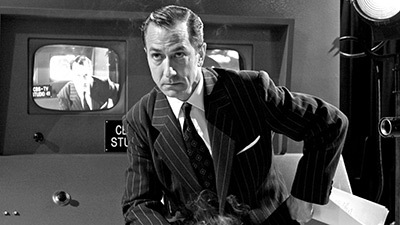 Good Night and Good Luck tells a true story about Murrow and CBS at their finest hour. It wouldn’t make my top 7 but I wouldn’t take it out. I loved The Paper. 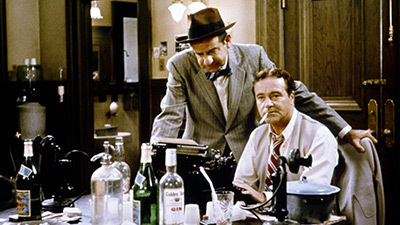 It captured the skeptical, camaraderie of a newsroom in those good old days and how the process worked, sloppy and good. I would leave out The Front Page and His Girl Friday because my students would have been too distracted by how dated they are. All The President’s Men can still work as a this is how it worked illustrative tale. 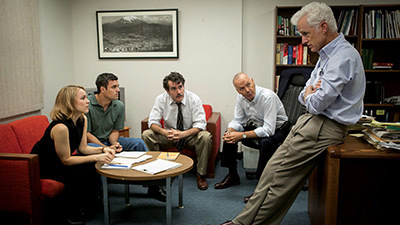 Spotlight is another recent one that works, and again I appreciate how they don’t gloss over the unholy closeness of the Boston Globe and the power structure of Boston. Nothing But Truth: Often ignored, it is a juicy story about protecting sources. It led to a lot of discussion. so much of how journalism can be done badly, it is as jaw dropping as they come. I would also probably replace the Murrow movie with Shattered Glass, about the reporter who made up story after story before he finally got caught. outside of President’s Men, Frost/Nixon has some really good stuff at the climax.